A bold, yet subdued, pearl chain necklace to elevate any outfit in your closet! 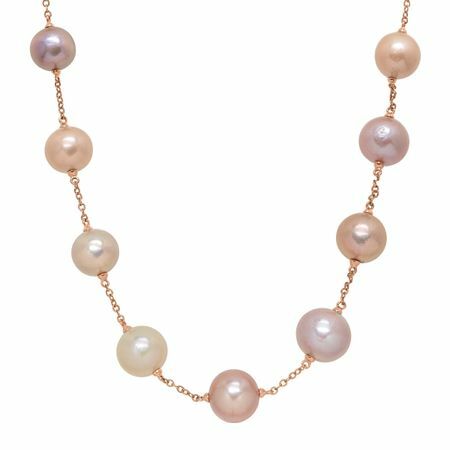 Multicolored Ming cultured freshwater pearls, ranging in size from 12 mm to 16 mm, decorate the 14K rose gold ribbed cable chain while a lobster clasp holds the piece together. Piece measures 18 by 1/2 inches.